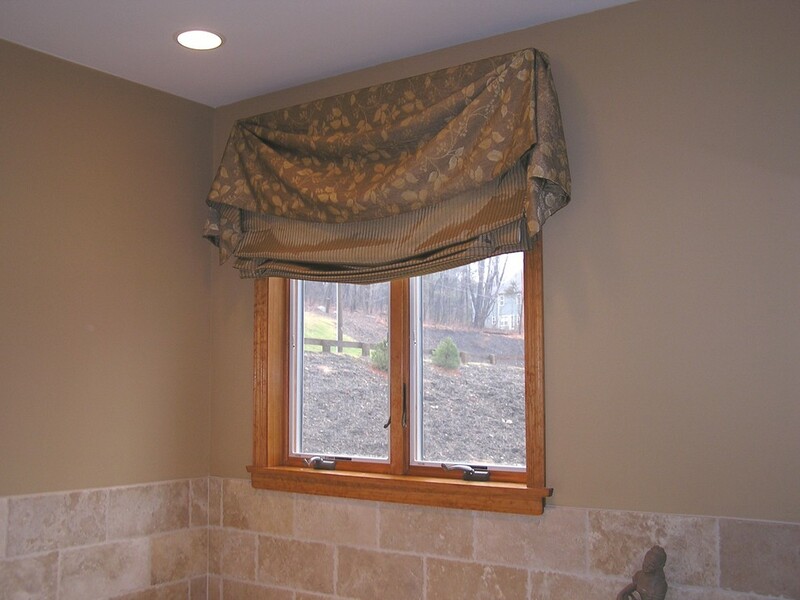 A motorized flat roman shade operated by a remote control was used over this tub area. The client needed privacy from the street, corded shades could not be reached over this jetted tub. A custom iron rod was used on this living room window to complement the sliding patio door with arch over top (not shown) and to create an artistic detail. 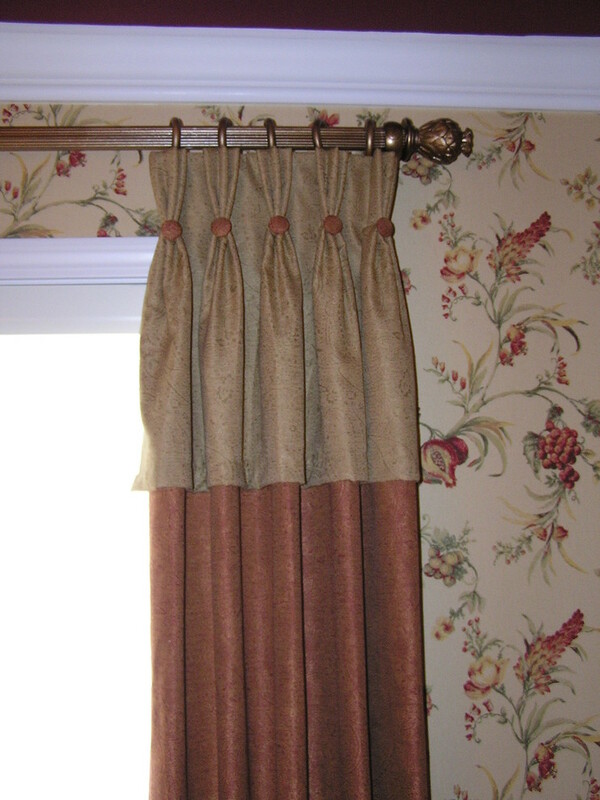 The silk drapery panels with attached valance add color while keeping a clean uncluttered look to the room.